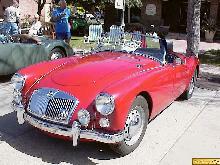 In 1955 MG threw away its traditional sportscar mould and began producing an all new, sleek little roadster, the MGA. The MGA was a breath of fresh aired compared to all previous post-war MG designs, which had really been restyled pre-war designs. 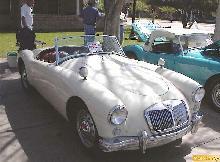 The new car featured a modern, low slung open roadster body, although this was still mounted on a separate chassis and used detachable side screens on the front doors, as was common practice on open MG cars. 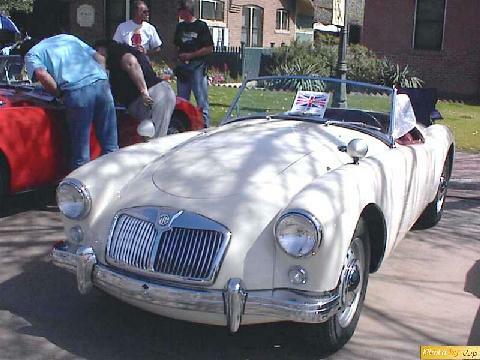 Traditional MG fans were surprised by the cars modern looks to start with but the MGA soon found plenty of eager buyers all around the world, particularly in the all important US market. 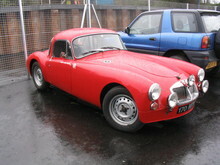 The MGA used the new BMC B-Series engine, in twin carb, 1489cc format which produced excellent performance (95mph) and plenty of scope for developing as a competition car. 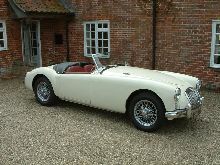 The MGA sold well in this, its original "1500" form until 1959 when it received a more powerful engine, bringing even more performance.